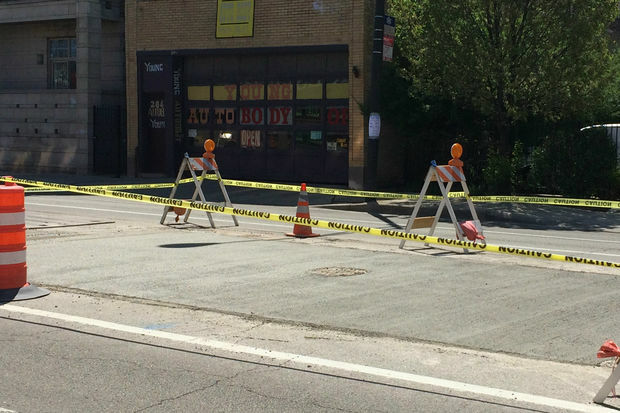 LINCOLN SQUARE — A piece of Chicago history, buried just inches underground, was unearthed during a recent routine street repair on Lawrence Avenue. 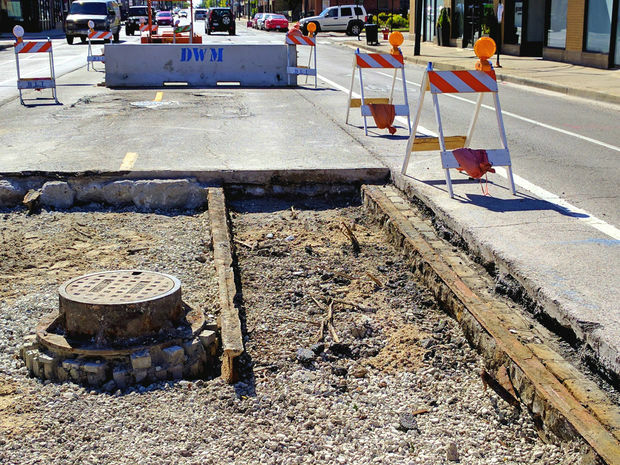 As crews from the Department of Water Management excavated the area around a sewer manhole in the 2600 block of Lawrence, remnants of the city's streetcar system were revealed. 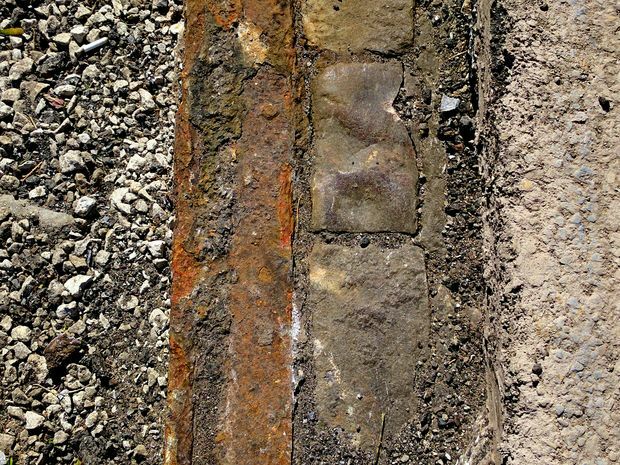 Neighbor Blake Valkier captured images of the temporarily exposed streetcar tracks, which have since disappeared under a fresh layer of concrete. The streetcar system, operated by Chicago Surface Lines, grew from a single horse-drawn car in 1859 to a peak of more than 3,200 passenger cars and 1,000 miles of tracks. When the CTA took over Surface Lines in 1947, the agency began phasing out streetcars in favor of buses. Some of the rail tracks were torn out, but most were left in place and covered with asphalt. The last streetcar made its final run on Vincennes Avenue in 1958. The Lawrence Avenue track terminated at Broadway on the east and Austin on the west. It was abandoned in 1951 when the route was converted to a trolley bus.